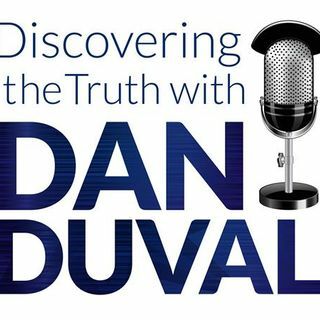 Arthur Burk is back on Discovering the Truth with Dan Duval to discuss his revelation on the five levels of holiness. For many Christians, Holiness is a word that is tied to thoughts of legalism and boredom. It is the pursuit of a life that makes God happy and us miserable. But is this truly what God intends for us to understand regarding holiness? In this episode, Arthur goes into the five things that God made holy: Time, Land, Community, Birthright and Office. By understanding these concepts, ... See More we are able to effectively contend for what God intends to weave into our lives. We are able to align with heaven and the blessings and promises of Jesus Christ. This is a program that will equip you with proven strategies and mechanics for achieving a massive breakthrough in Jesus Christ. Don't miss it!